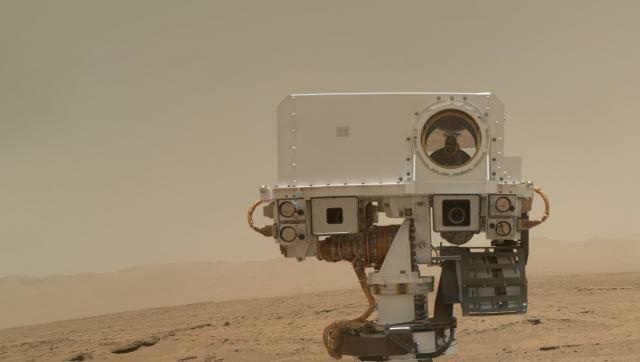 Curiosity's paradise vacation on Mars has run into an unexpected issue, with one of its onboard computers malfunctioning this past week. According to National Geographic, the computer became corrupted and failed to go into sleep mode, which could set the rover's activities back a week or more. However, no long term problems are expected. NASA's Mars rover has been roaming the desolate planet for almost 7 months now without issue, which is an achievement in and of itself. In fact, Curiosity has managed to send back pictures and other information about Mars no problem. Scientists working on the mission believe the issue may have stemmed from high-energy solar and cosmic ray strikes. "Curiosity has protections against such high-energy disruptions, but the problem was compounded by what appears to have been the location of the strike," National Geographic explained. This caused the computer to go into an endless loop of space nausea. To address the issue, Curiosity's "anomaly team" decided to switch operations to a backup computer as they look into ways to fix the main one. Right now, because the B computer is running the show, the rover is in a safe mode, with all activities essentially stopped. The timing is particularly frustrating because the rover was in the process of analyzing rock powder from an earlier drilling. We'll have to wait on the results once Curiosity gets back up and running. "Even if the rover is fully operational again in a week, the amount of science it can perform is limited," National Geographic explained. "That's because the sun comes between Mars and the Earth in early April, partially blocking the path for radio commands for an entire month." It's a frustrating delay, but it's one that shouldn't set the program back too far. When you have a machine on a completely different planet, there's only so much you can expect. But rest assured, Curiosity will be up and running again.